Each deck stain review that we do offers two rating types. 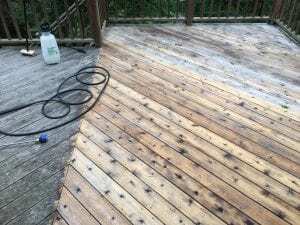 Our DeckStainHelp.com review based on our experience with the deck stain and the Consumer Star Ratings which are based on actual customers experiences with using the same stain. 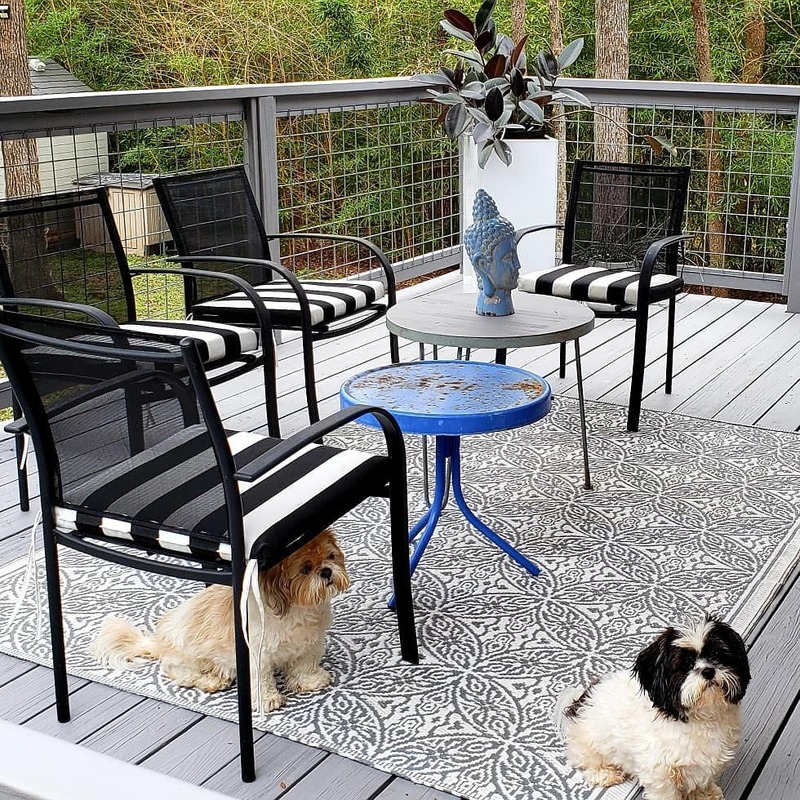 Listed below is a summary of our Top 6 Deck Stain Ratings for 2019, based on these criteria stated above. TWP 100 Series penetrates well into the wood, fades lightly in color and holds up to wear and tear. 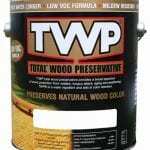 We like that when it is time to redo the wood in 2-3 years, the TWP can be cleaned and re-coated or even removed with ease. This makes the reapplication process much easier. TWP 100 Series is only allowed in 35 States and cannot be used in Canada. Stain Type: Penetrating Semi-Transparent Oil-Based. Full Curing EPA Registered Stain. Restore-A-Deck Wood Stain can be applied to dry or damp wood. Applying to damp wood allows you the ability to prep and stain on the same day, saving you a tremendous amount of time. 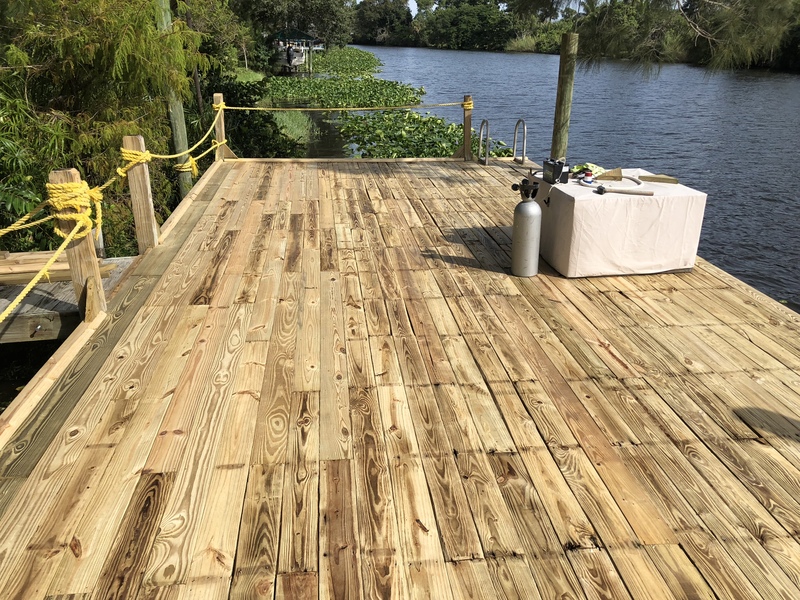 Restore-A-Deck Wood Stain is an advanced, water-based, semi-transparent stain formulation designed to penetrate deep into wood pores for maximum protection and longevity. Restore-A-Deck Wood Stain protects wood from harmful UV rays and damage caused by water penetration. Stain Type: Penetrating Semi-Transparent Water-Based. Full Curing Damp Application Stain. 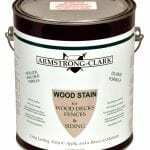 The Armstrong Clark Wood stain has been a solid performer since we started reviewing and using it about 6 years ago. We really like how it penetrates deep into the wood grain and applies easily. Reapplication is simple with a good deck cleaner for the prep. One thing we have noticed is to make sure you do not over apply. You want the AC to soak completely into the wood. Compliant for all US states and Canada. Stain Type: Penetrating Transparent, Semi-Transparent, Semi-Solid Oil-Based. Paraffin and Curing Oil Blend. Full Curing Stain. We find that the Defy Extreme Wood Stain to be the best performing water-based deck stain on the market. The zinc oxide nano-particles do double duty in preventing UV fading and preventing mold or mildew growth. 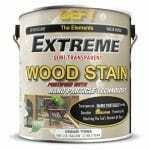 The Defy Extreme penetrates into the wood grain extremely well for a water-based stain, resulting in a non-filming coating that is not prone to peeling or wear from traffic. We personally use the Defy Extreme on about 30-50 deck restorations every year in the Midwest and is one of our go-to brands. Compliant for all US states and Canada. Stain Type: Penetrating Semi-Transparent Water Based. Full Curing Stain with nano-particles of Zinc Oxide. 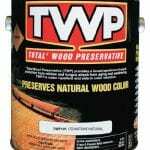 TWP 1500 Series is one of the better wood and decking stains and is one of our top choices. As contractors, we really like stains that penetrate deep into the wood and can be reapplied without sanding. TWP 1500 fits this and more by adding excellent UV and mold protection. Maintaining with TWP every 2-3 years is easy. TWP 1500 is compliant for all US states, but not Canada. Ready Seal Wood Stain contains the non-drying oil paraffin, which dives into the wood fibers and does not cure on the surface. There are many positives to paraffin stains such as user-friendly application and an even finish. The negatives can be poorer UV resistance and coverage rates with an oily finish that can stay on top of the surface. For an easy to apply even finish Ready Seal Wood and Deck Stain is a great choice. It may be necessary however to reapply every 12-18 months due to color loss. Stain Type: Penetrating Transparent Paraffin Oil-Based. Non-Curing. 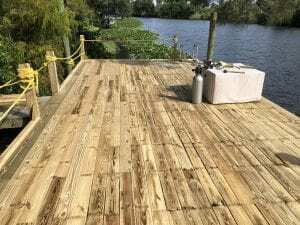 is oil based or water based stain best for a sea dock? They are both good as long as they are one of the top brands above. 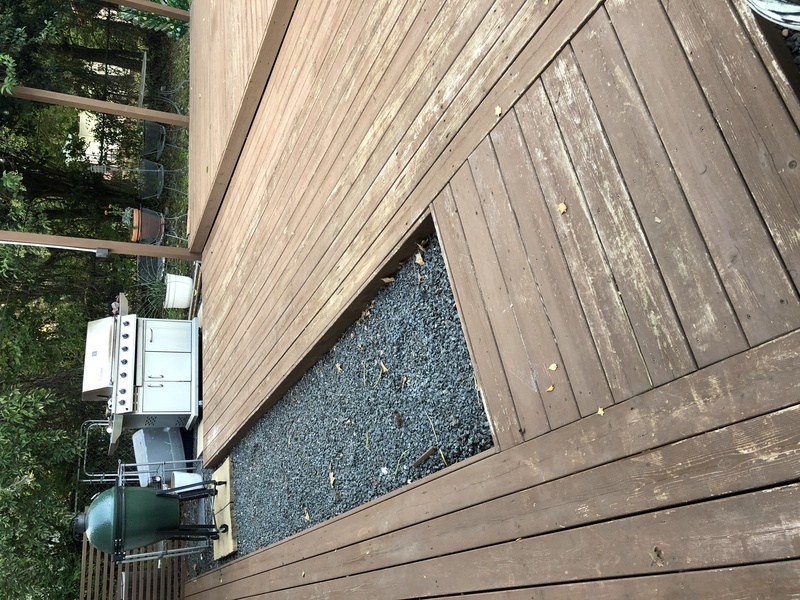 I had a new 500 sq foot deck built in July 2017….pressure treated wood/pine. After waiting til fall for it to cure/ lose moisture, SW SuperDeck Semi-transparent light cedar stain was sprayed on by my SW trained painter. It was a hot mess from Day 1. 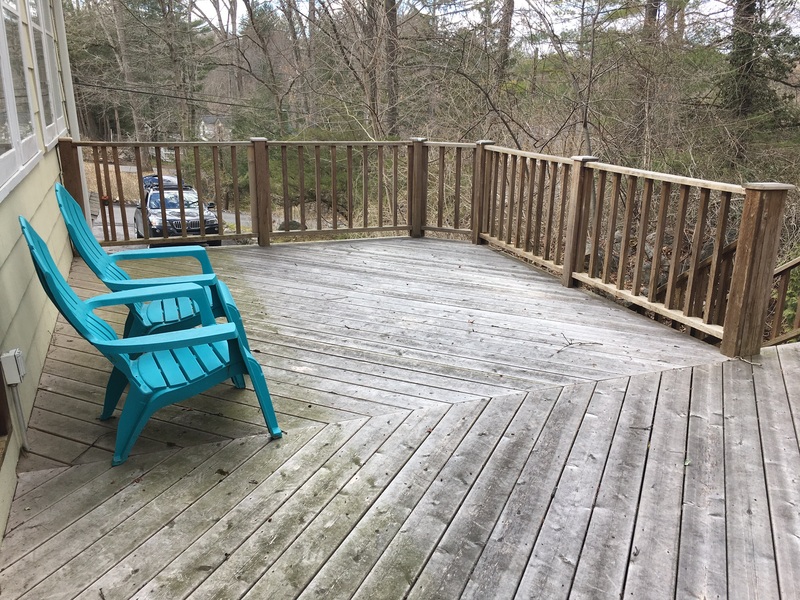 I can only assume he over-applied as it remained sticky for over a week and in some areas for over a month, rendering deck useless for all of the fall. He said it would be fine by Spring. Wrong again. Yes, not sticky, but now filthy with bubbly parifin looking blobs in places, and mildew near the area by my tree, but I suffered through all of 2018. …..I just had deck power washed, called a “gentle” wash. The professional warned me that it may remove waterproofing/stain………and it surely did…….WOW, it looks like it was just installed. Rough to touch, as if it had been sanded. I need to apply more stain/sealer while it is so clean. You are a breath of fresh air, so I plan to go w your reco (I’ve never read so many awful and misleading reviews, even from Consumer Reports!!!). I read your top rated stains, so going with one of those. QUESTIONS: Do I have to sand? (Im 66 yrs old) Do I have to strip off SW SuperDeck as it appears to be gone? Am I better off just buying more SW SuperDeck, but applying it with a brush or paint pad? If you say I must sand and strip with your recommended products, but do not have to with another coat of SW SuperDeck, then I might just go w SuperDeck, realizing that every year, after power washing, I have to do it all over again. Thanks for creating such a useful forum!!! No need to sand. If the Super Deck is gone, no need to strip. Use a stain pad to apply. Go with a better brand then Super Deck. I am looking for a clear sealer on a wood deck surrounding a pool and in all day, Arkansas sun. It is yellow pine and about 2 years old. I’ve used Thompson’s in the past and haven’t been super happy with it. It was always sticky and still allowed mildew to form. I pressure washed it last fall and am in the process of re-sanding the wood now. What is the best clear sealer for this situation? Try TWP in clear or Defy Extreme Clear. Any opinions on the Olympic Stain for deck and siding? Any opinions on PPG ProLuxe (formerly Sikkens)? I have been doing research regarding what type of product and the procedure to protect/preserve our 5 year old deck and happened on your most helpful site. After extensive reading, I have narrowed to TWP 1500 or 100 (not sure which??? ), Defy, or Armstrong Clark products in a semi-transparent finish. 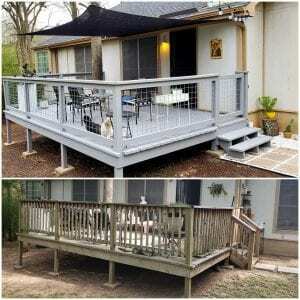 –Previous finish was Sherwin Williams DeckScapes oil based semi transparent deck stain. –We are very overdue for new protection–DeckScapes was applied 4 years ago. 1. With the information above, what product would you recommend? 2. Will the recommended product be able to be easily re-applied in 2 or 3 years without stripping and starting all over? 3. Am I correct is assuming that we will have to strip and brighten all surfaces including the MANY vertical 2 inch railings. So tempting not to strip them, but fear the stain will not absorb and dry. 4. Is a stain pad the best application method? 5. If we select TWP–don’t know whether to use 1500 or 100? 1. TWP 100 or AC would work well for this. 5. TWP 100 for TX. Do your stain recommendations apply to new red cedar fence as well? I replaced an old rotting 700 sq. 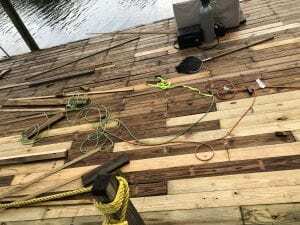 ft. deck in Oct. 2017 with, pressure treated pine. Deck is ground level. Half of the deck gets hot mid-day and afternoon sun other half is partially shaded. I live in Austin, Tx. Would like a good penetrating semi-solid stain good UV long lasting semi solid in a taupe if possible. I would appreciatiate you best recommendation. Also I am uncertain about oil vs water based benefits. Is it possible to see color samples online? Try Armstrong Clark in one of their semi-solid colors. Yes, you will be fine. Make sure to rinse well with water after using the brightener. 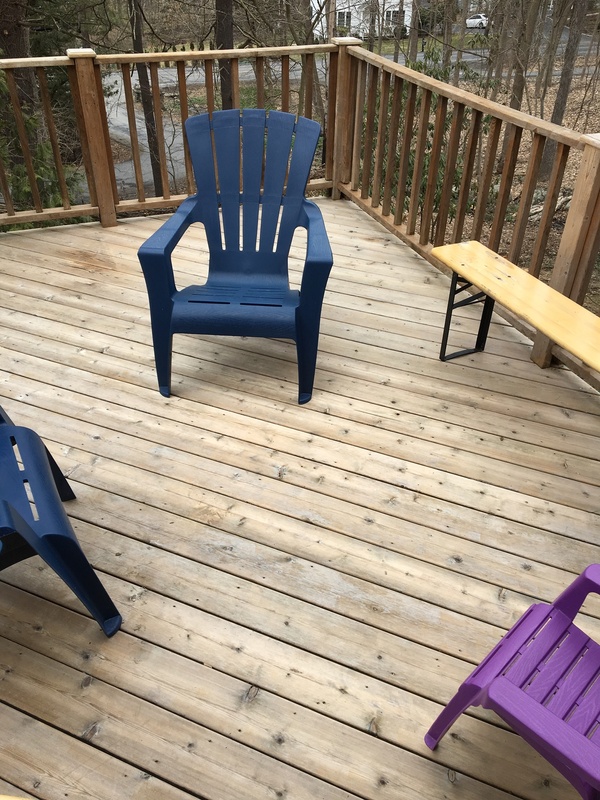 We had a house fire a year ago and had to replace the deck. It was built last July. Constructed of pressure treated 2×6’s. So it’s time to stain/seal it. Total square feet is 1500 which includes post, benches, upright pannels and lattice work. Should I use TWP100 or TWP1500 and what’s the difference? Which is Best? It will probably be sprayed on. And finally if two coats are needed how many gallons will I need? Thank you! Either the 100 or 1500 would work. The difference is VOC compliance for certain states so some are restricted and cannot use the 100 Series. If you spray you will have to back brush to ensure an even application. Has anyone used valspar deck stain from Lowes? If so what, do you recommend it and what product did you use. We have not had good luck with any Valspar deck products. Bought a “Charleston” pergola at Sam’s club. Said it was pre-stained with “Timber Grey”. They won’t give any info on the stain “proprietary formula” other than it needs to be sealed. Before I seal it, I’d like to re-stain it. I do have a pint left. What do you suggest? You will have to remove the current coating if you want to switch stain brands. 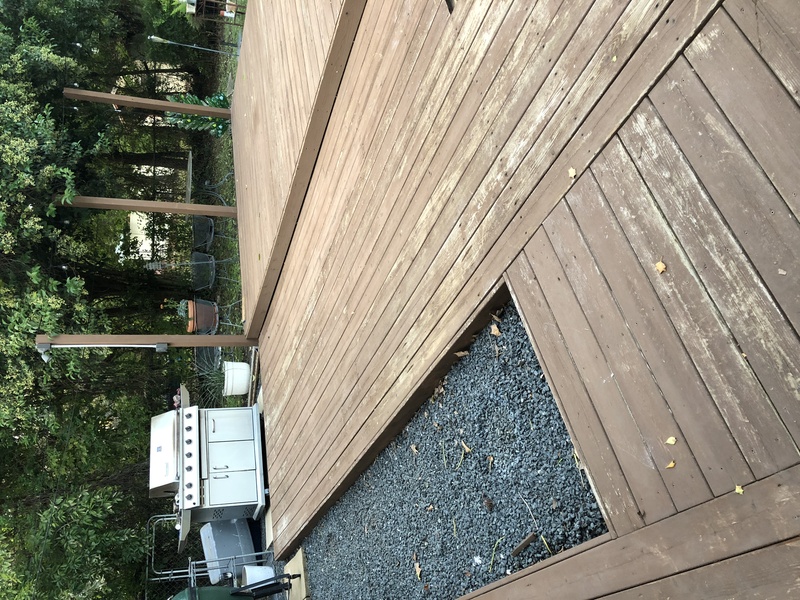 Folks: I will be replacing the decking on my 20′ x 16′ deck in central Wisconsin. The deck is on the east side of the house and is in full sun until mid afternoon. Several years ago I obtained reclaimed very large western red cedar utility poles and I brought in a band saw and sawed many hundreds of board feet of this beautiful lumber. 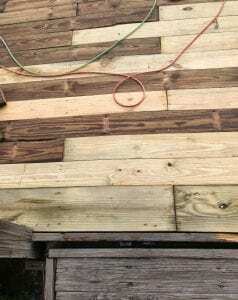 I have deck boards that have been milled/planed and stored in my shed for over 5 years. The lumber is extremely clean and dry. 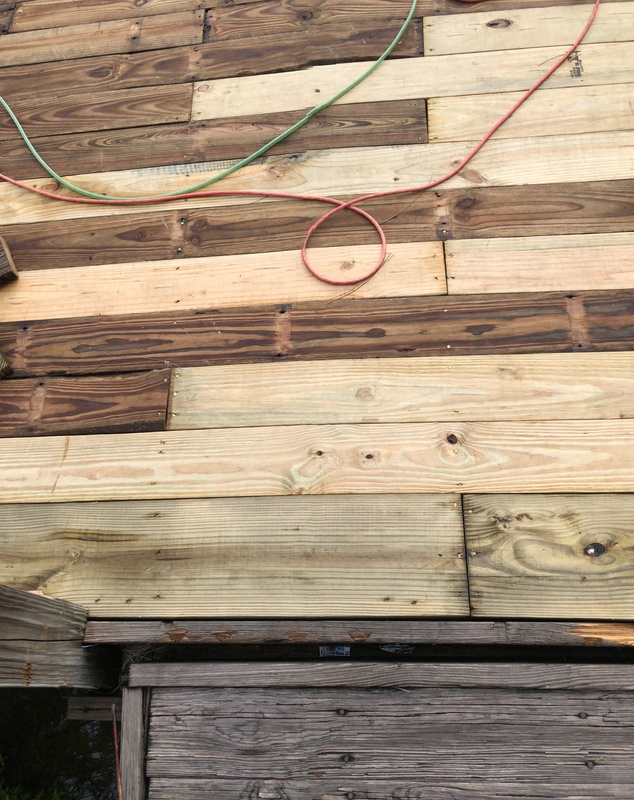 I plan to lightly pressure wash the decking and allow to fully dry and then apply the best stain available before screwing down to the joists. What recommendations can you provide me with regarding best product, preparation, and application? How do we decide to go with oil or water based stain. We have a brand new redwood deck that has been seasoning over the winter. 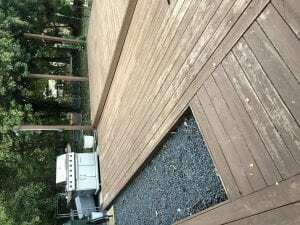 This deck get full southern sun in a Colorado extreme dry climate. What do you recommend? Doesn’t matter as long as you are using a top rated brand that is penetrating. Any of the above will work well. Hi…really appreciate the time you put into this site…thorough and very informative. I’m wanting to stain and seal pressure treated wood but I’d rather use an all in one stain/sealer. Bad idea to use the combo or are there good stain/sealers out there? Thanks for your help. All deck stains are sealers as well. 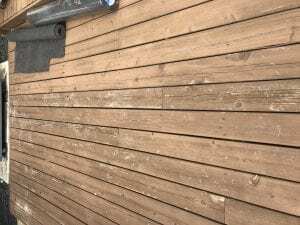 You cannot apply a sealer over a deck stain. 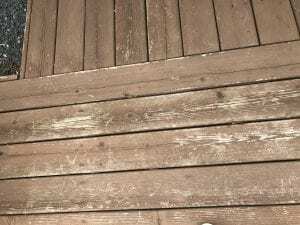 Can I apply a water-based stain on a deck that was previously stained with an oil-based stain? No. You must remove the previous coatings when switching brands and types of stain. You mention testing only one stain that can be applied on damp wood. There are others on the market. Please test those as well. Both have scored poorly here and on other sites as well. I have a new dock 800 sq ft shaded and deck 250 sq ft in direct sun in north Florida. It has dried for 6 mo. I want to seal and uv protect. What product can be reapplied with out lot of work? I am fine if cleat or tinted, just not solid color. Any of the brands above will work and can be cleaned and reapplied as needed. What is the best solid stain for new pine wood? I live in Ky.
We like Flood Pro Series Solid Stains. I have a landing and a set of stairs I am rebuilding at the front of our 114 year old home in Victoria, BC, Canada (an island off the west coast which gets half the rain of Seattle and only freezes a few times a year). 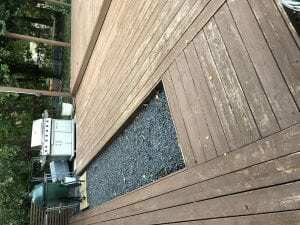 I am replacing the thinner decking boards with 2×6 western red cedar, and from the reading I have just done it seems I have to wait at minimum a few months, if not more, before I stain. I searched through the Flood website and instructions but couldn’t find their recommendation when dealing with new wood. In your response above you tell “Jenny” to use the Flood Pro Series Solid Stain on new pine wood, will this work for my cedar or must I still wait the months? Thank you very much for your time, insight, and information, Brett. Yes, you will need to wait a few months and prep. Damm haha, but thanks for the information. I have been letting the wood dry inside for a few weeks then planned to stain and let it dry inside for a few days before cutting and installing. However, I will follow your advice, just hard having a bunch of raw wood around a finished space for so long. Thanks again and take care, Brett. To give my remodeled house an older look, am using reclaimed lumber to build the doors, jambs and window frames as well as for posts, lentils and other decorative uses. Much of the wood is ponderosa pine salvaged from old homes, barns and other out buildings here in northern AZ and elsewhere in the interior West. Am using a Porter Cable restorer to remove the dirt and grit without disturbing the grain and saw marks. Much of the wood will be heavily exposed to the elements–strong southern and western sun as well as winter and monsoon rains. Do you have a recommendation for a durable finish for this kind of very porous wood? If possible, would prefer to use a natural stain with minimal darkening of the wood. Thanks very much in advance for any advice! Look at the Restore A Deck Wood stain in Natural color or the TWP 100 Series in Honeytone color. Thanks very much for the prompt response! Will look at both tips. Another question: Can you recommend a good stripper for removing a water-based polyurethane clear finish from weathered wood? A stain stripper will not remove a polyurethane. This will need to be power sanded to remove. Hi, I have found this site very helpful! I have a 20+ year old deck in Texas. The wood is in ok shape. It does not appear to have any previous stain on it that I know of. I have replaced some old wood with new PT / ground contact wood. Existing wood appears to be cedar, maybe another darker wood as well. I have powerwashed the deck. We would like a gray color stain, not a natural wood stain. 1. The pictures show some wood filler with some primer on top. I plan on sanding that off and removing that so that it does not interfere with the stain. Any problems there? 2. 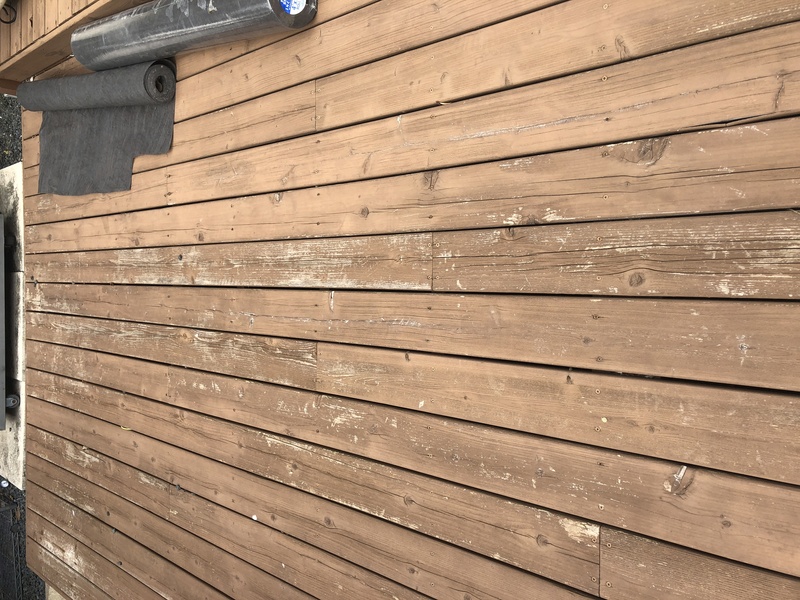 If there is no old stain present, do i still need to whiten and brighten the deck first and does this need to be done right before staining? 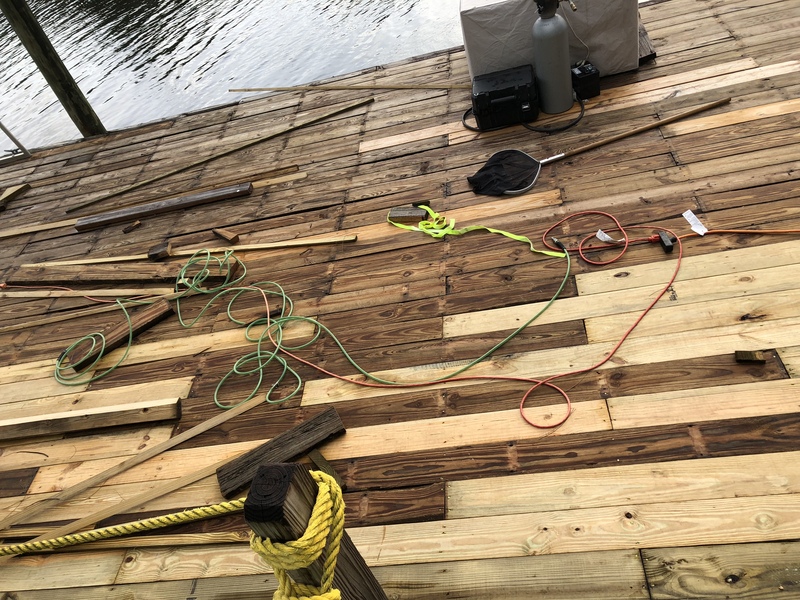 3. we don’t want to have to wait a whole season to get the deck finished. Is semi-transparent my only option to start sooner? 4. What product should I use to have all the wood match evenly the best, can a semi-transparent do this, or would I be better using a semi-solid? see pix. 5. Do not know if oil stain or water stain is just as good these days. 1. Wood filler will not work with semi-transparent stains. It will show through and look bad. 3. You will need a solid stain to cover the wood filler so it does not show through. 4. Use Flood Solid Stains for the wood filler issue and to have the wood look even in color when done. 5. Solid stains only come in water-based now. I’m concerned about solid stain peeling and flaking and being more work down the line. If I can sand down and remove off the wood filler and primer, can I still use a semi-solid to stain? should I use a stain primer before using a solid stain? Will that help any peeling issues? I was considering Storm stain primer and solid stain, but will also consider Flood. 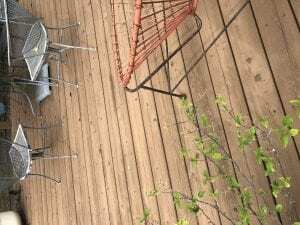 Do I still need to whiten the deck before using a solid stain? If you remove all of the primer and filler than you can use a semi-solid but you will need to let this wood naturally weather for 6-12 months. For example, Armstrong Clark wants all new wood to weather 1 year before using their semi-solid. Make sure to do the sanding of the primer/filler now and then let natural weather. You do not prime when using a solid color deck stain. Yes, you have t0 clean and brighten for the prep. We have no experience with Storm solid stains. Thanks! I think I will use Flood Solid Stain. Wood has been outside for a few weeks, and some for a couple months already and i’ll let it sit longer. I will try clean and brighten the deck first. Thank you for your help! This site is a great resource. You are welcome. Post a picture when done! attached is the picture of the final. It is Flood solid stain, Antique silver color. It came out a lot lighter than we expected, we wanted a darker color like charcoal, but sometimes hard to tell from swatches. Its pretty accurate to the swatch sample though. It is odd that PGP / Flood says that the semi-solid/opaque is discontinued. Maybe poor performance? Some stores carry it, some don’t even know what i’m talking about. I used the brightener and the results were incredible. The deck looked new. I was very tempted to use an oil based semi-solid/opaque because i didn’t want to deal with peel or crack later, but went with the solid anyhow because I didn’t want to wait so long for wood to weather and had wood had large cracks, different colors and wood filler – so i wanted a uniform look. The stain initially felt pretty soft and easy to scratch off and it felt like a paint going on. But so far it is holding and I hope for the best longevity. If anything fails it won’t be from the lack of preparation! Seems easy to clean and dirt does not stain. So far I am pleased but time will tell. also the rep at Kelly Williams said he no longer recommends Cabot and says they have been having problems with it btw. They had a semi-solid/opaque brand called Storm, which i could not find too much info about. I live in Alabama. My deck is about 5 years old and has never been stained or sealed. It is in partial sun. I am interested in a transparent to semi solid finish. Can you recommend the best stain product for me to use? 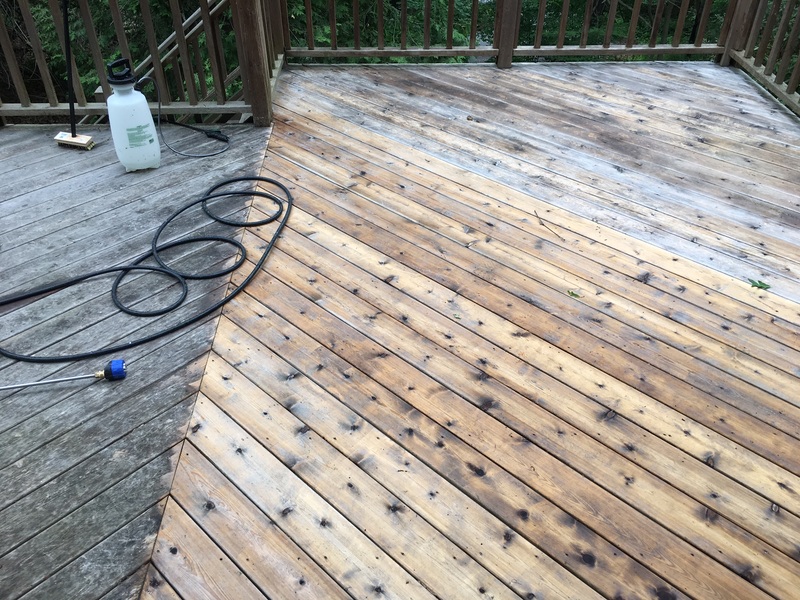 Prep with a deck cleaner and then a wood brightener. Stain with a semi-transparent stain. 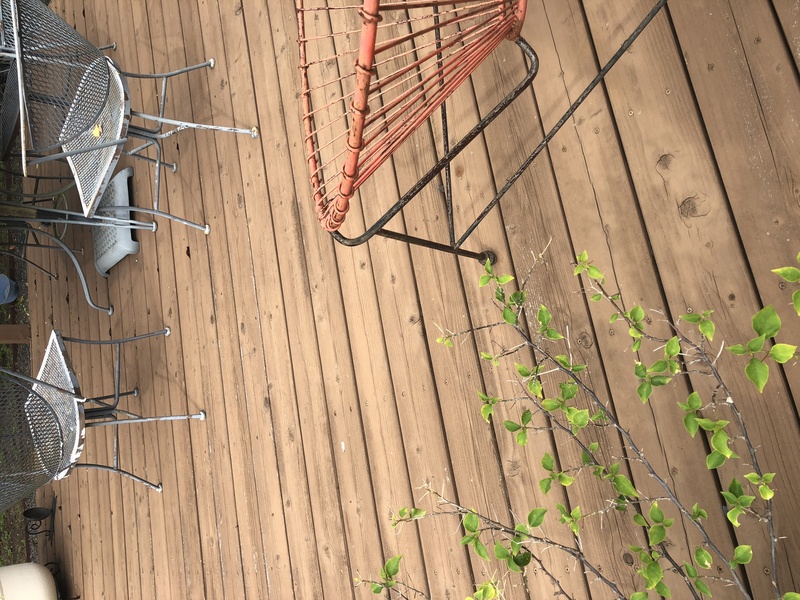 Look at the Restore A Deck Wood Stains or the Armstrong Clark stains. 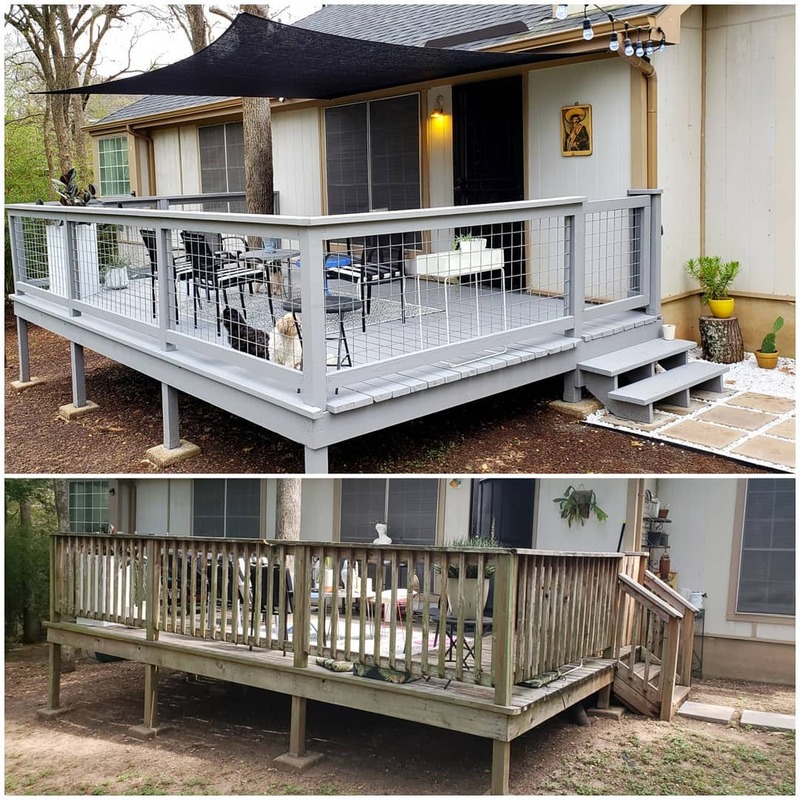 What is the best semi solid oil based stain available for cedar deck in straight Texas sun? Previously used Sikkens, TWP semi transparent but last time in 2016 used Cabot Semi Solid oil base. Need help choosing ASAP please. Deck roughly 7 years old and while in decent shoe the boards had several dry cracks. We live in Austin and are staining with something this week! So local product availability is also important. Armstrong Clark Semi-solid but you cannot apply over the Cabot. That will need to be removed first. Sanding and stripping will be needed. Brightener after. Unfortunately a good washing is all we can hope for. Does that change your recommendation. These photos are before power wash which is being done later today. You cannot apply a different brand of semi-solid stain over the Cabot. Either strip and remove or use the same Cabot as before. If you want to go with a solid stain, yes. I have a douglas fir deck, 800 sf. and live in mid state CA. Its 6 years old, need to restain it. Is oil or water based better ? I have stained it 2 times before , using oil base. This is the BEST info I have found on the internet , thank you ! Both oil and water-based will work well as long as you are using a quality brand. It is more about the brands then the base of the stain. Try one of the above stains. Make sure to remove the current oil-based stain first. Thank you…to prepare it, I have used a pressure washer. About 50% of the old stain has appeared to be worn off. Do I need to use another form of removing the old stain ? You need a stain stripper while pressure washing. Brightener after. Just finished flipping the boards and replacing the bad ones. Next step was pressure cleaning and these shots were taken befor I did that. Deck is 20 years old and has never been sealed just cleaned and bleached. I now want to use the restore a deck water base to even color and protect. The right move? Can I order it from you? Best to wait until Spring to prep and stain this. This site does not sell products. This is what it looks like after pressure washing and bleaching. It really did a good job of blending the new and old wood but I wonder if the pressure cleaning was enough to break the mill glaze and if applying a coat of clear restore a deck now would be a good idea to protect things until spring when I could use a color. You have to let it weather until Spring for the new wood. No way to speed up that process. We painted your Cabot solid stain a week ago. Let it dry for 6 days and now its peeling off under furniture legs and from the rubber on tennishoes. What now? Why is this happening? Cabot is not our brand. Best to contact them directly. I’m sorry I meant that I used Penofin not Penzoil deck stain in my last question. 1. I used Penzoil oil based deck stain here in California on a Mangaris deck and it seems to be holding color well. Do you have any experience with stains available under the more resticted environmental regulations in California? In particular, with Penzoil. Does the TWP brand you like have a different formulation here in California? I have been told that stains available outside CA last 5-6 years but the most you can expect here is 2-3. 2.Does applying a stain to a redwood fence lengthen the life of the fence or only better preserve the new color? If so which stain would prolong the life of the fence vs just the color? 1. Penofin has a tendency to turn black after a period of time. Not a favorite of ours or other consumers. The TWP 1500 is compliant for CA. Nothing lasts 5-6 years. 2-3 is tops anywhere in the US. Penofin has never lasted 2-3 years though in our experience. 2. Vertical wood always lasts much longer. On a fence, you can expect 4-6 years with a product like the TWP 1500. It will also lengthen the life and enhance the appearance. I have not had any areas turning black on my deck after using The chesnut color of Penofin. So far I am very happy with it. Previously I had tried a Cabot deck stain (which you do not evaluate) and was very unhappy with the result. Do you represent TWP products? If not then have you conducted any blind evaluation tests using mutiple decks and products to determine your ratings or does it just happen to work best in your business? The issue with turning black is a known problem for Penofin in the industry. You can easily Google this. All of our experience comes from 25 years of being contractors in the Industry. We do not work for the TWP manufacturer. I have used Penofin for years with no issues. The problem comes when people don’t read the instructions. I have numerous projects in my yard that are stained with Penofin and they all look great!! I just had 330 linear ft of treated pine fence installed. What is the best stain to use for the Houston, TX area. also, how long can I expect it to last ? Any of the above brands would work well. Should last 3-6 years for a fence. I have a redwood deck that I applied Preserva Wood Oil-Based Pacific Redwood Penetrating Exterior Stain and Sealer. It looked great for about 3 months. However, the areas that have been exposed to sunlight have darkened considerably. It also does not seem to repel water or hold up to wear and tear. On my redwood fence it looks great. First, what is your opinion of the Preserva Wood product? Do you think TWP 100 seems like a good option for my redwood deck? What are the preparation steps I would need to take before applying a new product? 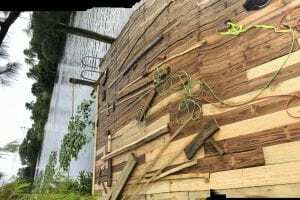 We are not fans of Preserva Wood. Turns black in color. You will need to strip and brighten the deck for the prep. TWP 100 or 1500 Series depending on what your state allows. Really informative site. Thank you. Hoping to you can help me here. Recently purchased a house in Westchester NY. not really sure how old the deck is, guessing 15 years old plus. 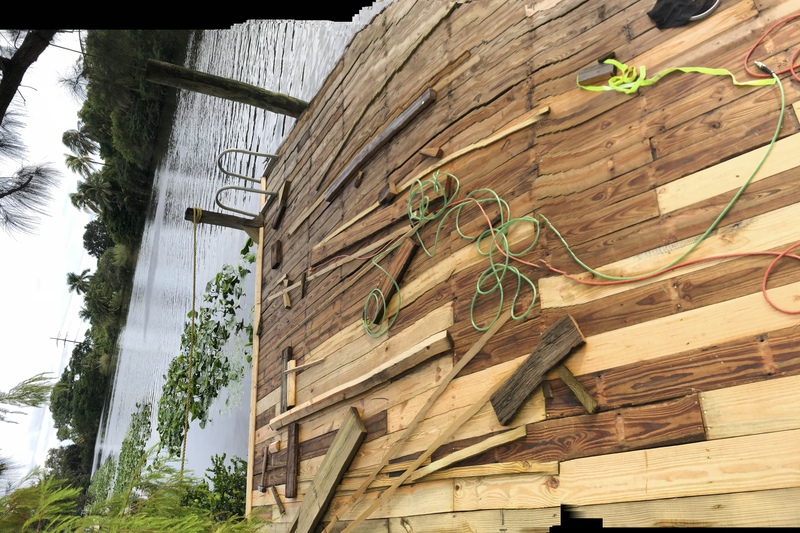 The deck is in solid shape. About 300 sf, 8’ elevated off the ground. No warping or rot. I pressure washed it last year as it had been neglected and was just dirty and grimy. Needs cleaning again as it went a year after last cleaning. No direct sun hits the deck as it’s covered by a really large oak tree, but this causes its own issues as the tree dumps pollen in the spring and at the moment, acorns by the ton onto it. I’m leaning towards a semi transparent in either a grey tone or darker walnut. Open to either. Deck is heavily used so ideally want a stain that will look natural as it ages. Hoping you can offer suggestions on which stain might be best for my situation. Also, can’t seem to find restore a deck around me or Defy. Any suggestions which can be purchased at Home Depot? Our local hardware store only sells arborcoat, which I know from your review to avoid. The only other is Sherwin Williams and Superdeck. Another which you don’t seem to fond of. Trying to keep cost moderate and also stay with a water based stain. Deck currently looks like first photo. There are not any quality stains that we would use at HD, SW or Lowes. Try to find TWP 1500 Series. Dark Oak or Black Walnut. Oil-based stain though. You could also check with the manufacturers for help locating. I have a home in New England near the ocean. It has white cedar shake siding and cedar trim that was installed three years ago. It hasn’t been stained. It was washed with Jomax house wash and it removed all the mildew. I was looking at both the Defy Extreme Clear and TWP 1500 clear. My wife would like it to gray slightly naturally if possible, but I want to prevent mildew and protect the wood. Since I need 35 gallons, price is important and it appears TWP is a better value. Pros/cons of oil-based TWP vs. water-based Defy? Either brand is clear and will gray naturally but still protect the wood. Both will last the same. You will have better coverage with the TWP. The Clear in the 200 Series is not a true clear. It is tinted lightly and will enhance the grain some and not gray naturally as soon as the 1500 Clear. You may need to prep more. Post a picture if you can. Yes I have been EXTREMLY Upset with Rustoleium Deck Restore 10x’s ! Now I find out it’s to late for me to do anything about the Class Action Law Suite & I’m STUCK WITH THIS DISASTEROUS PRODUCT & basically a Ruined Deck. I’ve TRIED contacting Rustolieum directly for a Long time now. I never imagined they were intentionally Ignoring my emails! I’m so Disgusted with this ! I knew I had applied it to the T. I had been a Faithful Ciustomer of Rustolieum Products Forever. Now I want to tell the world what a Underhanded CO. They are! I’ve researched for ages now on the Best way to Remove this Garbage & still don’t really have any solid ideas. PLEASE IF anyone can give me some decent advice? I tried the Heat Gun & it was Extremely time consuming, being 10x’s Thicker than a Solid stain/Paint. I used a Oscillating Scraper & the blades were worn out INSTANTLY by the texture/sand in the paint. I’ve looked to rent a Hot Water Pressure Washer but none available in my area.Because this Coating peeled & bubbled from Summer Heat. Now I’m told a LOW pressure washer should do it?? Do I need the paint stripper with it? PLEASE ANY IDEAS, WORTH A TRY! You cannot strip or pressure wash this off. It will need to be sanded. I live in Canada. What would be your best recommended wood stain product that I can buy in Canada? I am looking for a waterproof product, not decided on color. I am not interested in buying online. Sorry, but we do not live there so we have no idea if any good brands can be bought locally or not. The previous owner used SW Deckscapes solid. So I need to apply another acrylic solid on top of that. Who makes the best solid water based stain? Try the Flood Pro Series. I have been using Sikkens but now the formula is changed. I am going to have mahogany decks sanded and restained. We have not used the C2 Guard and there has been little to no feedback on this site from consumers. Try Armstong Clark in on of their 3 hardwood colors. It is oil based and better than the Sikkens. How does Pittsburgh Paramount Advanced Penetrating Oil hold up? My cedar deck is a few years old in Vancouver BC. The same year I installed it I stained it with sikkens. It failed that year with mould under the stain/sealer and peeled. Since then I have left it. Now I want to resend and stain it again. It has just been pressure washed. Should I clean and brighten then sand and stain or just sand then stain and what products would you recommend for Canada specifically Vancouver BC where it is rainy. Should I now wait until the spring or is it okay now in early September? Sand and then clean and brighten the wood. Try TWP 200 Series. You can do now or in Spring. Looks like the stain remained well on the fence and railings. should i just do the same sand and clean /brighten and restain? Seems like the best option but i want to be sure. The fence and railings were a different stain so i guess i can clean/brighten and restain it with the same stuff? i would like to try twp 200 on all but do i need to strip or is cleaning and brightening enough? You will need to sand and or strip all the Sikkens aff and then clean and brighten for the final prep before using the TWP 200. Yes, Clean and brighten for prep when redoing with TWP 200.
sorry one last question in a year or two when i come to redo it should i just clean and brighten and restain. or is it likely to need resanding again? And should it be about a year or two years or three?> how do i know>? What Semi-Transparent oil based stain is recommended for the Denver, co region? Lots of sun and snow. TWP 100 Series or Armstrong Clark. This is Jeff. Is your response to my question about stain for Colorado? We have made barn doors to go on an outside wall of our house. They will be out all year in all conditions. They are reclaimed pine. It has been suggested that instead of transparent stain we should use a solid stain to match the dark accent of our house. The doors will get some but generally little direct sunlight. Will the solid stain protect the wood? Will the solid stain peel? Should we polyurathane over top for added protection? Yes it will peel eventually. You cannot apply a poly over a deck stain. How does Woodsman Stain rate in your rating system? We have not rated and only used it once so have limited feedback. Do you have a review of ‘Ready Seal’ on Cedar board on board fence. We used Ready Seal 8+ years ago after new fence aged a few months. 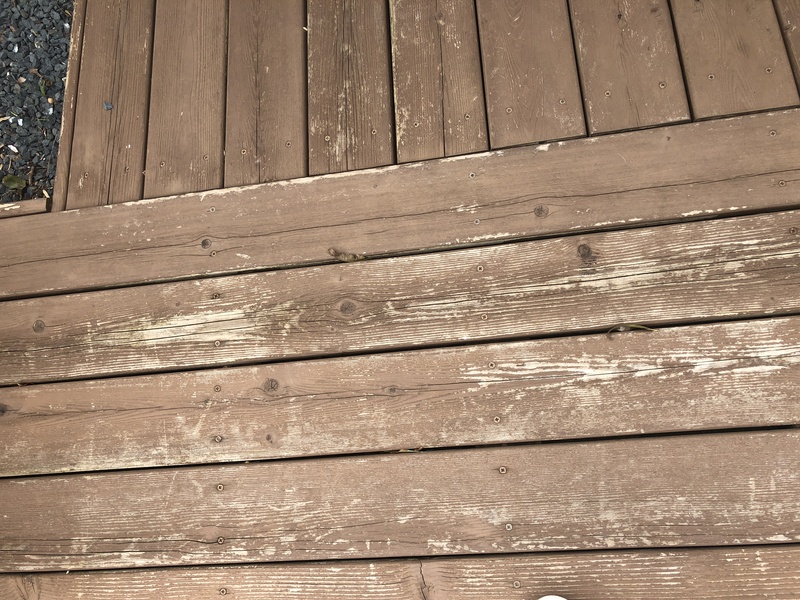 Would pressure washing and restaining fence extend it’s life at this time? Not on a fence. Vertical wood always lasts 2-3 times longer than on horizontal wood. It definitely needs a cleaning and recoat if it has been 8 years. 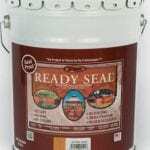 Do you have a review of Ready Seal Stain? We have just deep sanded a replica horse drawn buggy from the pioneer era. It takes a lot of time! It is displayed outside, in Utah, for most of the year. The coatings, polyurethanes, we have used in the past have never lasted thru a 2 year span. What can we use that would require less frequent and easier sanding and longer periods between? Any of the brands above will work. I am building a new fence and gate. The gate is built and is all cedar. The fence is pressure treated posts (on top of deck framing). They are both going to be black. I would like to use a solid black stain. I have two questions. Is cedar still a good choice for the fence cladding, considering it will get a solid stain? And what is a good brand for solid fence stain? Thanks! Cedar wood is good. We like Flood solid stains. Why would you worry about UV protection on wood? I can see it for various plastics and new wood substitutes decking, which is supposedly maintenance free anyway. I worry alot more about rot and water damage. UV protection is by far the most important reason to prep and stain your deck. It keeps the color and prevents UV oxidation/graying that damages the exposed wood cells. Water protection is secondary, but important as well. I had a contractor recommend, Preserva-Wood Penetrating Oil Stain and Sealer Clear for my new fence. I did not see any reviews of the product on the site. Where does it rank for oil-based stains? Contractor also said he likes to apply it when the wood is “wet” before it dries and shrinks or cracks too much. That seems counter to the advice here, so what are your thoughts on applying that product on wet fence posts? You cannot apply an oil-based stain to wet wood. The water will repel the stain so it cannot soak in. But if you are talking about visibly dry but new wood, you can do it right away after install if the wood is rough sawn cut. If smooth wood, it will need to season and be prepped before applying. As for Preseva wood, there has been very limited feedback on this site from consumers and we have never used it. I live in sunny Denver, CO and just had a new Cedar fence installed. The fence installer said it would be at least 10 days before stain could be applied because they are new, rough cut boards. 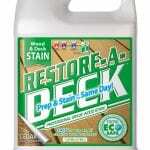 If I go with RestoreADeck water-based, will it be applicable after that time frame since it soaks into wet wood? Does RestoreADeck prevent greying? You can use any wood/deck stain since it is rough sawn cut. The RAD is a great stain and comes in 4 tinted colors that will prevent UV graying.